Home » Melatonin » Melatonin Supplements Safe for Children? Melatonin Supplements Safe for Children? Melatonin is a hormone normally produce and released in the brain, which is responsible for the normal and proper regulation of the sleep and wake cycle. 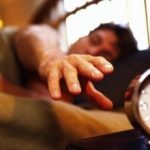 An alteration and abnormality in the production and release of melatonin hormone can cause abnormalities in the circadian rhythm (internal body clock), which can possibly cause circadian rhythm sleep disorder and other sleep disorders. Synthetic preparations of melatonin are made to help supply melatonin to people who have sleep disorders. Melatonin supplements are considered to be safe since it is a natural supplement, however, melatonin supplements are not proven to be completely safe when given in children. associated with the light in the environment. 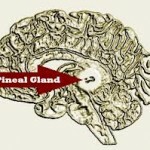 After sunset, the brain will signal the pineal gland that it is already night time and it is already time to release melatonin. 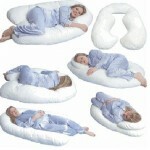 Melatonin will help a person fall asleep, just like the synthetic melatonin preparations. Melatonin supplements will help a person fall asleep on time. People suffering from delayed sleep phase disorder, insomnia, and jet lag will really benefit from melatonin supplements. However, studies and researches still have not proven melatonin supplements’ benefits to children. There have been too little studies and researches published about the potential of melatonin supplements to children. However, there are some studies published that melatonin supplements can be beneficial and effective to children who are suffering from insomnia and autism. And in every study or research done, there will always be slight or big differences as to what the recommended and safe dosage of melatonin supplements for children 13 years old and below. Even though melatonin supplements are not exactly proven to be safe for use by children, there are still other pediatricians who believe that melatonin supplements are safe and effective to treat sleep disorders in children. Pediatricians and other medical professionals will know how to determine the right dose and timing of melatonin supplements for your child. Never let your child take melatonin supplements without seeing or consulting the doctor first. Not everyone has the same response to melatonin supplements. One unwanted and major side effect of melatonin supplements in children when used or taken the wrong way is seizure episodes. Seizure episodes can really produce life-threatening situations and it can also be a traumatic event for your child. 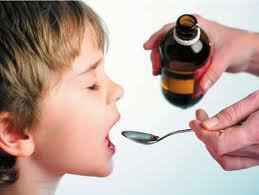 Never give melatonin supplements to your child, unless prescribed by your child’s pediatrician. Can Children take Melatonin Supplements?